Arthur Paunzen; born Vienna, 1890 - Died Isle of Man, England, 1940, studied art in Vienna, under Ludwig Koch, then at the Academie Julian in Paris, under Jean Pierre Laurens. 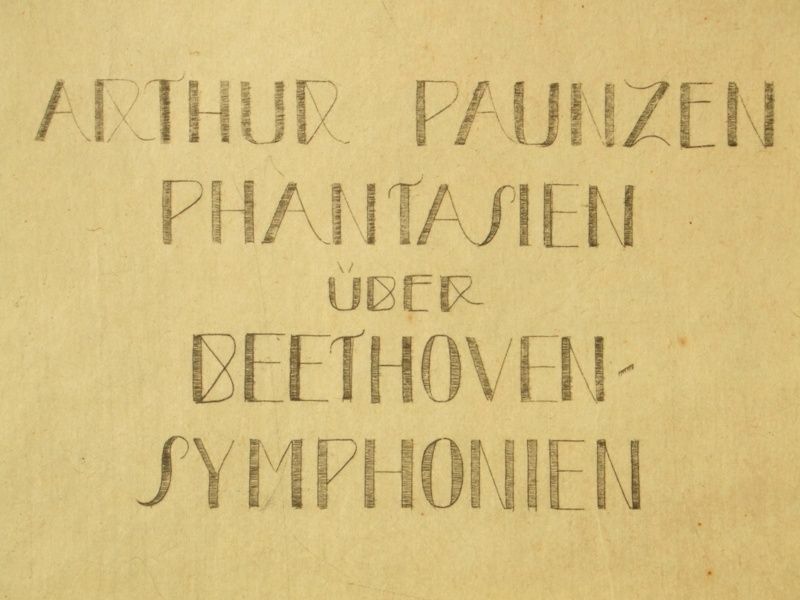 At the end of the First World War Arthur Paunzen published a collection of eleven etchings under the title of "Phantasien über Beethoven-Symphonien" (Fantasies about Beethoven symphonies). 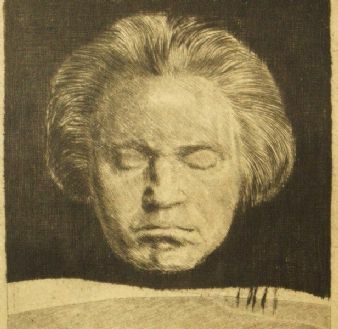 The individual sheets of the collection show depictions regarding the various Beethoven symphonies. 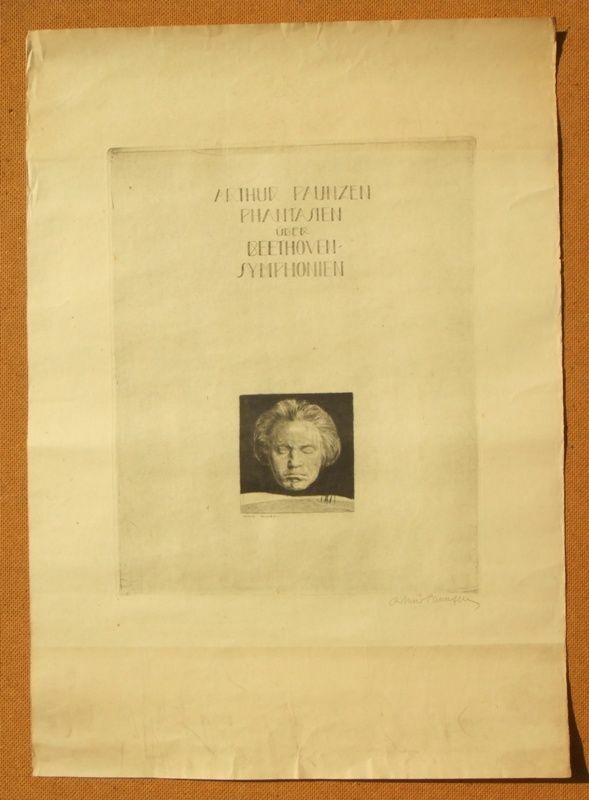 For this title page Paunzen designed a fantasy portrait of Beethoven. Like most fine artists he reverted to the Beethoven mask which Franz Klein had manufactured in 1812. Being Jewish, he fled Austria before the Second World War and settled in England where war measures required internment of Austrians and Germans. Arthur Paunzen was taken to the Internment Camp, Douglas, Isle of Man, and later died of pneumonia. This etching has retained its colouring,bright and unfaded in black ink, with excellent line detail, textures and plate tone. The central image measures approximately 7 cms. x 7 cms, (3 x 3 ins.) within a strong platemark and impression on a full size wove paper sheet size 35 cms. x 49 cms, (14 x 19½ ins.) with full margins and will be shipped rolled. 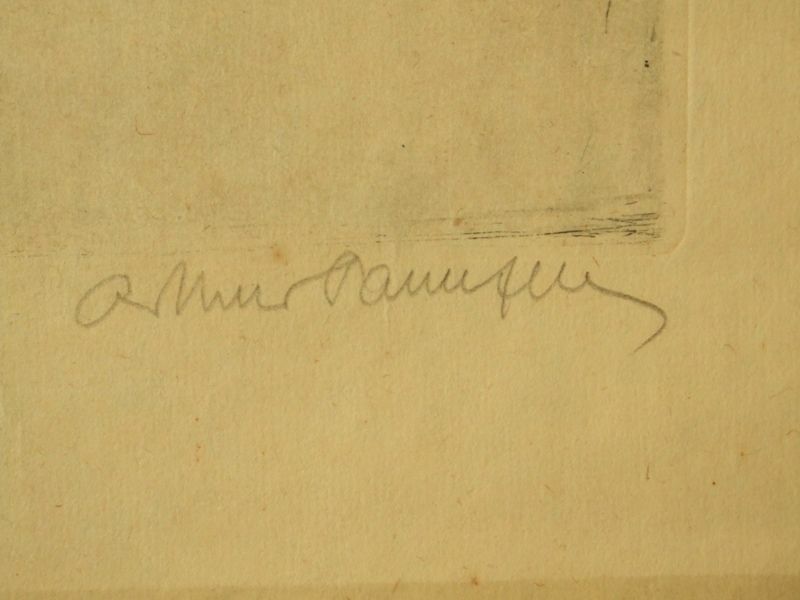 Signed in the image and signed in pencil by the artist in the lower margin. Unframed and unmounted, the condition of the image and the sheet is good with folds creases and handling marks condusive with age.